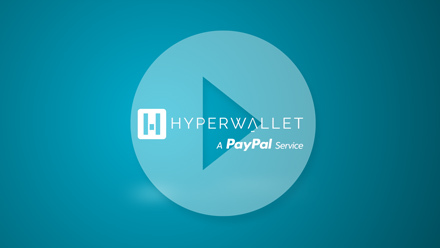 Hyperwallet provides its services through its group of affiliated operating companies (collectively, “Hyperwallet”), which includes Hyperwallet Systems Inc. (“HWCA”), HSI USA Inc. (“HWUS”), Hyperwallet Systems Europe Limited (“HWEU”) and Hyperwallet Australia Pty Ltd (“HWAU”). Personal data means any information that could be reasonably used to identify You as an individual. This data is collected directly from You and may also be provided directly by Payors. Information collected directly from You may be collected through You calling our Customer Service, recorded communications, the Web Site, and the Pay Portal. This information may include Your name, home address, telephone number, personal e-mail address, Your forwarding address (e.g. during a vacation), previous address(es), billing and account information (such as credit or debit card number, or bank account number), Your mailing preferences, delivery instructions, transaction history, IP address, and service preferences, as well as other information defined as non-public or private information about You pursuant to applicable law. We use personal data to process payment transactions on a Payor’s behalf, to respond to Your inquiries or requests, and to provide customer support. and for any other purposes to which you agree in a manner that is legally acceptable under the data privacy laws in your jurisdiction. 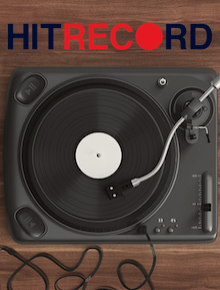 We may also use information that we collect in aggregate form to further develop and improve the Web Site and the Pay Portal, and for our own business analyses that will allow us to make informed decisions. By removing the elements of your information that could identify You, we reserve the right to disclose the resulting “anonymized” information without restrictions. For example, we may create anonymized, statistical, and aggregate data to prepare reports about the Web Site and Pay Portal that do not identify any individuals. with our subsidiaries or affiliates to provide joint content, products, and services to You. with Payors. You should consult with Your Payor to learn how Your Payor uses any personal data, as we have no control over personal data once it is disclosed to Your Payor. with a third party where instructed to do so by You. Hyperwallet does not sell or rent personal data to marketers or unaffiliated third parties. Where lawful to do so, and subject to Payors’ consent where required, we may communicate with Payors (and related business contacts) about our Services. If You wish to unsubscribe from receiving e-mail marketing communications, please opt-out via the unsubscribe link included in such emails, and we will stop sending You communications. Cookies / Passive Information Collection. Additionally, for fraud monitoring purposes, we may place “cookies” on Your device to identify it in the future when You use the Pay Portal to connect with our applications. We will transmit a device identification code, as well as IP address and other technical device attributes, to a third-party service that determines whether the devices have been identified with fraudulent or abusive transactions in the past, such as reported instances of identity theft, account takeovers or malware attacks. This information helps us decide whether to accept, deny or review transactions from such personal computers, mobile phones, or other devices. We may report to the third party if we conclude that a device has been used in connection with a fraudulent or abusive transaction with us. If You set your browser or device to reject these cookies or tokens, You may not be able to authenticate Your device or conclude some transactions through the Pay Portal. We share with the third-party service only information about the device You are using, which may also have been used or appropriated by others, and do not identify You or reveal the details of Your transaction to the third party. To authenticate Your device, You may be required to input a one-time code into Your device. By using our Service, You agree that we, or anyone else on our behalf, may send You such confirmation codes by e-mail or to your mobile phone. Your personal data is stored in Canada and the United States and may be stored and processed in any other country where we have service providers or in the country where Your Payor is located or be stored “in the cloud.” By using the Web Site or Pay Portal or by providing consent to us (where required by law), You agree to the transfer of information to countries outside of Your country of residence – including to the United States, Canada, European Union and Australia – which may provide for different data protection rules than in Your country. We will keep personal data about You only for as long as required to fulfill the purposes for which it was collected, and thereafter as permitted or required by applicable law. Data Access, Correction, and Deletion. You have the right to access the personal data we maintain about You and to impose certain limits on the use and disclosure of such personal data. Individuals who seek access to their personal data may do so by logging into the Pay Portal to view their data or they may send a detailed request to privacyofficer@hyperwallet.com; however, for security reasons, the best way to make a request is to do so while logged into the Pay Portal (Go to “Support,” select “Email” and complete the form for “Privacy Concerns”). We reserve the right to charge a reasonable administrative fee where permitted by law, especially if your request is manifestly unfounded or excessive. Updates or corrections to personal data may be made by You in the Pay Portal in certain instances or by contacting privacyofficer@hyperwallet.com. Some of the personal data in your profile may only be updated in your Payor’s system. In such case, your Payor may provide the information to us so that we may update your profile in our systems. Please note that if we do not collect or receive certain personal data from You, You may not be able to utilize the Services offered on the Web Site or in the Pay Portal, including receipt of funds from the Payor. Security Measures and Communicating with Us. We take reasonable steps to protect information about You in our possession and control, such as personal data associated with the Web Site or Pay Portal, and to protect such information from loss, misuse, and unauthorized access, disclosure, alteration, or destruction. You should keep in mind that no Internet transmission is ever completely secure or error-free. In particular, e-mail sent between You and us may not be secure. Questions, Complaints, Recourse, and Contact Information. For complaints by individuals residing in the EU or Switzerland that cannot be resolved with Hyperwallet directly, Hyperwallet has chosen to cooperate with EU data protection authorities and the Swiss Federal Data Protection and Information Commissioner’s authority (collectively “DPAs”) and to comply with the information and advice provided to it by an informal panel of DPAs in relation to such unresolved complaints (as further described in the Privacy Shield Principles). Please click here to be directed to the relevant EU DPA contacts and here for the Swiss DPA. If neither Hyperwallet nor the DPA resolves Your complaint, You may have the possibility to engage in binding arbitration through the Privacy Shield Panel. Hyperwallet is subject to the investigatory and enforcement powers of the U.S. Federal Trade Commission (FTC). Complaints from individuals residing in Australia that cannot be resolved with Hyperwallet directly can be sent to the Office of the Australian Information Commissioner (OAIC). For the purpose of the GDPR and other data protection regulations applicable in the UK, the data controller is Hyperwallet Systems Europe Limited registered in England and Wales, no. 10215249, with a registered office at Suite 211, 63 St Mary Axe London United Kingdom EC3A 8AA. Legal Bases for Data Processing. Legal obligation to fulfil our compliance obligations and responsibilities (Article 6(1)(c) of the GDPR). Rights related to automated decision-making, including profiling: to not be subject to a decision made in this way where it has legal or similarly significant effects on You, unless necessary for entry into or performance of a contract. You also have the right to lodge a complaint with a supervisory authority for data protection to enforce your rights as specified above. You can find details on how to do this on the UK Information Commissioner’s Office (“ICO”) website at https://ico.org.uk/concerns/. In relation to all of these rights, the best way to make a request is to do so while logged into the Pay Portal (Go to “Support,” select “Email” and complete the form for “Privacy Concerns”). You may also contact us with a detailed request at privacyofficer@hyperwallet.com. Please note that we may request proof of identity. You are entitled to one copy of information free of charge; however, we may charge a reasonable fee if your request is manifestly unfounded or excessive, particularly if it is repetitive. We will endeavor to respond to your request within all applicable timeframes. Personal data from the EEA and UK will only be transferred to countries considered as providing an adequate level of legal protection or to entities with suitable alternative safeguards in place, such as model clauses in the form approved by the European Commission, Binding Corporate Rules or participation in an applicable Privacy Shield Framework. Please see below for information about Hyperwallet’s participation in the in the EU-U.S. and Swiss-U.S. Privacy Shield frameworks. EU-U.S. and Swiss-U.S. Privacy Shield Frameworks. To learn more about the Privacy Shield program (“Privacy Shield”), and to view our certification (listed under HSI USA Inc.), please visit https://www.privacyshield.gov/. We limit the collection and use of personal data to that which is necessary to administer our business, including to process payment transactions, protect against fraud, and provide customer service. We may disclose personal data to our third-party service providers, business partners, Payors, and others who assist us in providing our Services. Hyperwallet’s accountability for personal data that it receives under the Privacy Shield and subsequently transfers to a third party is described in the Privacy Shield Principles. In particular, Hyperwallet may be liable with respect to the onward transfer to third parties of EU and Swiss data subjects’ personal data received pursuant to the EU-U.S. and Swiss-U.S. Privacy Shield frameworks, unless Hyperwallet proves that it is not responsible for the event giving rise to the damage. Additionally, Hyperwallet collects, uses and processes human resources data in the context of an employment relationship with its current employees, applicants and former employees in accordance with the Privacy Shield Principles. In connection with its human resources operations, Hyperwallet may now and/or in the future transfer or provide personal data regarding employees in the EU and Switzerland to other countries where it operates, including the United States. Hyperwallet has further committed to cooperate with EU and Swiss DPAs with regard to unresolved complaints concerning human resources data. Please note that in certain situations Hyperwallet may be required to disclose personal data if it is the subject of a lawful request by public authorities, including to meet national security or law enforcement requirements. Hyperwallet suministra servicios mediante su grupo de empresas afiliadas operativas (colectivamente, “Hyperwallet”), que incluyen a Hyperwallet Systems Inc. (“HWCA”), HSI USA Inc. (“HWUS”), a Hyperwallet Systems Europe Limited (“HWEU”) y a Hyperwallet Australia Pty Ltd (“HWAU”). Hyperwallet se preocupa por la confidencialidad de los datos e informaciones relacionados con Ud. Recopilamos datos sobre nuestros clientes (individualmente, cada uno de los ordenantes de Pagos es denominado “Pagador”) y los beneficiarios de los pagos señalados (individualmente, cada uno de ellos es denominado Beneficiario”) cuando hacen uso de la plataforma de pagos on-line (“Portal de Pagos / “Pay Portal”), de los servicios de pago, y de las tecnologías y las funcionalidades conexas (los “Servicios”), y de nuestra página web : www.Hyperwallet.com (la “página web”). También recopilamos datos e informaciones sobre los terceros proveedores de servicios cuya contribución es necesaria en el marco del suministro de los Servicios, así como de nuestros trabajadores. La presente Política de Confidencialidad (“Política de Confidencialidad”) describe el modo en que recopilamos, utilizamos y/o divulgamos dichas informaciones. A lo largo de la presente Política de Confidencialidad, a veces nos referimos a “Ud.” o “Uds.”. “Ud.” se refiere en la mayoría de las ocasiones a un Beneficiario de pagos ; no obstante, “Ud.” también puede referirse a un visitante de nuestra página web, a un ordenante de Pagos (Pagador), a un tercero proveedor de servicios, o a un trabajador – es decir, todas aquellas partes a quienes la presente Política de Confidencialidad resulta de aplicación. En la medida de lo posible intentaremos clarificar a quien nos referimos en los distintos apartados de la presente política. Así como la presente Política de Confidencialidad tiene un carácter global, también cumple con las exigencias legales y normativas impuestas por la legislación en materia de protección de datos (LPD) – General Data Protection Regulation (“GDPR”), hay apartados concretos referidos a los datos personales de los individuos residentes en la UE en la parte final de la presente Política de Confidencialidad. La página web y el Portal de Pagos (Pay Portal) son operados por Hyperwallet para los ordenantes de pagos (Pagadores) y por cuenta de los Pagadores, respectivamente. Visitando nuestra página web, registrándose para hacer uso de nuestros Servicios, mediante el acceso al Portal de Pagos (Pay Portal), o haciendo uso o recibiendo nuestras prestaciones de Servicios en cualquier momento, Ud. acepta en su conjunto los Términos y Condiciones de Servicio (los “Términos”) que le resultan aplicables a Ud., y Ud. acepta explícitamente el uso que hacemos de los mismos, así como la divulgación de sus datos y solicita que lo hagamos del modo descrito en la presente Política de Confidencialidad. 1. Recopilación de Datos Personales. “Datos Personales” tiene como significado cualquier información que pueda ser utilizada de un modo razonable para identificarle a Ud. personalmente. Estos datos se recopilan directamente en base a las informaciones suministradas por Ud. mismo, pero también pueden ser suministradas directamente por los ordenantes de Pagos (Pagadores). La información recopilada proporcionada directamente por Ud. puede ser recopilada a través de sus llamadas a nuestro Centro de Atención al Cliente, mediante comunicaciones grabadas, a través de la página web, y/o del Portal de Pagos (Pay Portal). Estos datos informaciones pueden incluir Su nombre, su domicilio personal, su teléfono, su dirección de correo personal, la dirección de redireccionamiento de su correo personal (por ejemplo, durante las vacaciones), sus direcciones anteriores, datos e informaciones relacionadas con su cuenta, y datos de facturación (como los números de sus tarjetas de crédito o de débito, o el número de su cuenta bancaria), sus preferencias en materia de correo ordinario, instrucciones de entrega, su historial de transacciones, su dirección IP, y sus preferencias de servicio, así como cualquier otro dato o información definido como privado, o no-público, o como confidencial en cumplimiento con la legislación y los reglamentos de aplicación. 2. Uso de los Datos e Informaciones Personales Recopilados. Hacemos uso de sus datos personales para procesar las transacciones de pago por cuenta de un ordenante de Pagos (Pagador), para responder a peticiones o solicitudes de información, y para suministrarle servicios de atención al cliente. · Y con cualquier otro propósito y finalidad con la que Ud. muestre su acuerdo de un modo legalmente aceptable al amparo de las leyes de protección de datos aplicables en su jurisdicción. También podemos hacer uso de las informaciones que recopilamos de modo agregado para seguir desarrollando y mejorando nuestra página web y el Portal de Pagos (Pay Portal), así como para realizar nuestros propios análisis empresariales que nos permitan tomar decisiones en base a informaciones. Suprimiendo aquellos elementos de sus datos e informaciones que podrían permitir identificarle individualmente, nos reservamos el derecho a divulgar la información “anonimizada” de este modo sin restricción alguna. Por ejemplo, podríamos crear datos estadísticos y agregados, anonimizados para preparar informes sobre la página web y el Portal de Pagos (Pay Portal) siempre y cuando no identificasen a ningún individuo en particular. · Con nuestras filiales y/o empresas asociadas con el propósito de suministrarle a Ud. contenidos, productos y servicios conjuntos. · Con los ordenantes de Pagos (Pagadores / Payors). Debería consultar con su Pagador para saber cómo el ordenante de sus pagos hace uso de sus datos personales, puesto que nosotros no tenemos ningún control en absoluto sobre sus datos personales una vez que le son comunicados y/o transmitidos a su Pagador. · A terceros proveedores de servicios a nuestra empresa, quienes colaboran con nosotros en la gestión, la administración y/o en el funcionamiento de la página web y/o del Portal de Pagos (Pay Portal) y/o en las prestaciones de los Servicios. Exigimos de dichas partes que protejan el carácter confidencial de los datos e informaciones relacionadas con Ud. y que hagan un uso de los mismos conforme a la presente Política de Confidencialidad, así como de acuerdo con otras exigencias, en base a un cumplimiento contractual. · Con relación a la venta, la cesión o cualquier otro modo de transferencia de la empresa y/o de la titularidad de la misma, es posible que efectuemos la transferencia de las informaciones relacionadas con Ud., en cuyo caso exigiremos del comprador o del adquiriente que acepte tratar dichas informaciones de un modo conforme con la presente Política de Confidencialidad. § Informar de actividades sospechosas, ilegales o fraudulentas, en prevención de daños y prejuicios, físicos, materiales o financieros, y en el marco de la investigación del incumplimiento de la presente Política de Confidencialidad, y/o de los Términos y Condiciones de aplicación. · Con cualquier tercero, en cumplimiento de las instrucciones proporcionadas por Ud. Hyperwallet no vende ni arrienda en modo alguno datos personales a empresas comercializadoras de productos o de servicios, ni a ningún tercero (empresa no asociada o filial). En los supuestos permitidos por la ley, y con la autorización de los Ordenantes de Pagos (Pagadores) cuando resulte necesario, es posible que informemos a los Ordenantes de Pagos (Pagadores) (y a sus correspondientes contactos empresariales) sobre nuestros Servicios. Si Ud. desea anular su suscripción y dejar de recibir mediante su correo electrónico comunicaciones de marketing, por favor ejerza su derecho a auto-excluirse y dejar de recibir comunicaciones de marketing por correo electrónico, por favor, ejerza su derecho de auto-exclusión (opt-out) mediante el enlace de cancelación de suscripción (unsubscribe link) incluido en dichos correos electrónicos, y dejaremos de enviarle comunicaciones. 5. Cookies / Recopilación pasiva de información. Además, con fines relacionados con la detección de fraudes, es posible que coloquemos “cookies” en sus dispositivos para poder identificarlos en el futuro cuando haga uso del Portal de Pagos (Pay Portal) para conectarse con nuestras aplicaciones. Transmitimos un código de identificación del dispositivo, así como de una dirección IP y/o otros elementos técnicos de identificación de dispositivos a un tercero proveedor de servicios que establece si dichos dispositivos han sido relacionados en el pasado con transacciones abusivas y/o fraudulentas ya denunciadas antes las autoridades pertinentes en casos de robos de identidad, de usurpación de cuentas o de ataques con software malicioso (malware attacks). Estas informaciones nos ayudan a decidir si aceptamos, rechazamos, o sometemos a revisión las transacciones efectuadas desde dichos ordenadores personales, teléfonos móviles, y/o desde otros dispositivos. Es posible que enviemos informes a dicho tercero proveedor de servicios en el supuesto de que lleguemos a la conclusión de que un dispositivo ha sido utilizado con relación a transacciones abusivas y/o fraudulentas relacionadas con nuestra actividad. Si Ud. configura su dispositivo o su navegador para que rechace estos identificadores o estas cookies, es posible que su dispositivo pueda no ser autentificado o reconocido y esto le impida realizar algunas transacciones a través del Portal de Pagos (Pay Portal). Compartimos con el tercero prestatario de servicios únicamente información relacionada con el dispositivo que Ud. utiliza, que también ha podido ser utilizado por otros o haber sido objeto de apropiación por parte de otros, sin identificarle a Ud. personalmente, ni revelar detalles de las transacciones efectuadas a dicho tercero. Para autentificar su dispositivo, es posible que se le pida que introduzca un código válido únicamente en una ocasión en dicho dispositivo. Haciendo uso de nuestros servicios, Ud. acepta que nuestra empresa, o que cualquier otro tercero por cuenta nuestra, le envíe dichos códigos de confirmación por correo electrónico o a su teléfono móvil. 6. Transferencia transfronteriza de datos. Sus datos e informaciones personales se hallan almacenadas en Canadá y en los Estados Unidos, y pueden ser almacenadas y procesadas en cualquier otro país en el que se hallen los distintos proveedores de servicios con los que colaboramos o en el país en el que se encuentra el ordenante de Pagos (Pagador / Payor) o pueden hallarse almacenados “en la nube”. Al hacer uso de nuestra página web (Web Site) y/o del Portal de Pagos (Pay Portal) o brindándonos su consentimiento (en los casos exigidos por la ley), Ud. acepta que las informaciones sean transferidas a países distintos de su país de residencia, incluidos los Estados Unidos, Canadá, la Unión Europea o Australia, que pueden tener normas aplicables en materia de protección de datos distintas a las aplicables en su propio país. Conservamos sus datos personales, únicamente durante el tiempo necesario para cumplir con el propósito y la finalidad para los que fueron recopilados, y posteriormente tan solo en la medida autorizada por las leyes y los reglamentos de Aplicación. 8. Acceso a sus datos, Corrección, y Supresión. Ud. tiene derecho a acceder a sus datos e informaciones personales que conservamos sobre Ud. y a fijar ciertos límites con relación al uso y a la divulgación de dichos datos personales. Las personas que deseen ejercer su derecho de acceso a sus datos personales pueden hacerlo iniciando una sesión en el Portal de Pagos (Pay Portal) para comprobar sus datos, y/o pueden enviar una solicitud detallada a la siguiente dirección de correo electrónico: privacyofficer@hyperwallet.com ; no obstante, por razones de seguridad, la forma más conveniente de presentar una solicitud es haciéndolo habiendo iniciado una sesión en el Portal de Pagos (Pay Portal) (Ir al apartado de Atención al Cliente, “Support,” seleccionar “Correo electrónico” / “Email” y completar el formulario de “Cuestiones relacionadas con la Confidencialidad” / “Privacy Concerns”). Nos reservamos el derecho a cobrar unos costes razonables por el procesamiento administrativo en los casos previstos y autorizados por la ley, particularmente en los casos en los que dicha solicitud es excesiva o carente de fundamento. Las actualizaciones o las correcciones efectuadas con relación a sus datos personales puede realizarlas en ciertos casos Ud. mismo a través del Portal de Pagos (Pay Portal) o contactándonos a través de la siguiente dirección de correo electrónico privacyofficer@hyperwallet.com. Algunos de los datos personales contenidos en su perfil pueden ser actualizados únicamente a través del sistema de su ordenante de Pagos (Pagador / Payor), en cuyo caso debe de ser el ordenante de Pagos (Pagador / Payor) quien nos suministre dichos datos e informaciones para que procedamos a la actualización de los mismos en su perfil en nuestros sistemas. Le señalamos que si no recibimos o recopilamos ciertos datos personales suyos que debe proporcionarnos, es posible que no pueda hacer uso de los Servicios ofertados en la Página Web y/o en el Portal de Pagos (Pay Portal), incluido el depósito de fondos por parte del ordenante de Pagos (Pagador / Payor). 9. Medidas de seguridad y Comunicaciones – con nosotros. Nuestra empresa toma todas las medidas razonablemente necesarias con el propósito y la finalidad de proteger los datos personales relacionados con Ud. que se hallan en nuestra posesión y bajo nuestro control, tales como las informaciones personalmente identificables relacionadas con la página web (Web Site) y/o el Portal de Pagos (Pay Portal), y para proteger dichas informaciones contra la pérdida de las mismas, su uso inadecuado, el acceso no autorizado a las mismas, su divulgación y/o su comunicación, su alteración o su destrucción. Debe tener en cuenta que ninguna transmisión a través de internet es nunca y en ninguna circunstancia completamente segura o se halla libre de la posibilidad de errores. En particular, los correos electrónicos que Ud. nos envía pueden no ser seguros. Nuestra empresa no es responsable de las páginas de terceros a las que proporcionamos enlaces para su mayor comodidad como usuario. No podemos validar o avalar dichas páginas web ni las políticas de confidencialidad de las mismas, y la presente Política de Confidencialidad no es de aplicación a las mismas. Ud. debería conocer las políticas de confidencialidad practicadas por los propietarios de dichas páginas antes de suministrarles ninguna información con carácter personal a través de las mismas. 11. Modificaciones de la presente Política de Confidencialidad. 12. Preguntas, Quejas, Recursos e Información de Contacto. En cumplimiento con las leyes aplicables en material de protección de datos, incluidos los Principios de Protección de Datos (Privacy Shield Principles), Hyperwallet se compromete a responder a sus inquietudes relacionadas con el modo en que recopilamos y hacemos uso de sus datos personales. Para cualquier duda o consulta relacionada con la presente Política de Confidencialidad, Ud. debería en primer lugar ponerse en contacto con Hyperwallet en la siguiente dirección de correo electrónico : privacyofficer@hyperwallet.com. Para las quejas por parte de individuos residentes en la Unión Europea o en Suiza, que no puedan ser resueltas directamente por Hyperwallet, Hyperwallet ha decidido actuar en estrecha colaboración con las Autoridades de Protección de Datos de la U.E. y con el Comisario Federal Suizo para la Protección de Datos (Swiss Federal Data Protection and Information Commissioner) (colectivamente, las Autoridades de Protección de Datos : “APDs”) y cumplir con los consejos e informaciones proporcionados por un panel informal de las propias ADPs con relación a las quejas sin resolver (como se hallan descritas más adelante en los Principios de Protección de Datos – Privacy Shield Principles). Por favor, haga clic en este enlace para ser redireccionado a los contactos relevantes de las ADPs de la U.E. y haga clic en este enlace para ser redireccionado a los contactos relevantes de las ADPs suizas. Si ni Hyperwallet ni la APD competente es capaz de resolver su problema, a Ud. le asiste el derecho a solicitar una resolución de arbitraje vinculante ante el Panel de Protección de Datos. Hyperwallet se halla sujeta a las competencias de investigación y a los poderes sancionadores de la Comisión Federal de Comercio EE.UU. (U.S. Federal Trade Commission – FTC). Las quejas por parte de los individuos residentes en Australia que no hayan podido ser resueltas directamente por Hyperwallet pueden ser enviadas a la Oficina del Comisario Australiano para la Información (Office of the Australian Information Commissioner – OAIC). 13. Protección de datos en la U.E. En cumplimiento de las Leyes Generales de Protección de Datos y de otras normativas aplicables en materia de protección de datos aplicables en el Reino Unido, el titular del control de los datos es la empresa Hyperwallet Systems Europe Limited (Sistemas Hyperwallet Europa, S.L.) registrada en Inglaterra y el País de Gales con el número 10215249, con sede en Suite 211, 63 St. Mary Axe Londres – Reino Unido EC3A 8AA. · Bases Legales aplicables al Procesamiento de Datos. · Las obligaciones legales en materia de cumplimiento de obligaciones y responsabilidades (Artículo 6(1)(c) de la GDPR – Ley General de Protección de Datos). · Derechos relacionados con procesos de decisión automatizados, incluida la creación de perfiles: derecho a no ser objeto de la toma decisiones realizadas de este modo, que tengan repercusiones legales o de similares características sobre Ud., a menos que resulte necesario para el establecimiento y/o la ejecución de un contrato. También le asiste el derecho a presentar una queja ante las autoridades de supervisión de la protección de datos para exigir poder ejercer sus derechos tal y como han sido especificados anteriormente. Puede hallar los detalles relacionados con el modo en el que presentar dicha queja ante la Oficina del Comisario para la Protección de Datos del Reino Unido (UK Information Commissioner’s Office – “ICO”) a través de su página web: https://ico.org.uk/concerns/ . Con relación a todos estos derechos, el modo más conveniente de efectuar una solicitud es presentándola habiendo iniciado una sesión en el Portal de Pagos (Pay Portal) (Ir al apartado de Atención al Cliente, “Support,” seleccionar “Correo electrónico” / “Email” y completar el formulario de “Cuestiones relacionadas con la Confidencialidad” / “Privacy Concerns”). También puede ponerse en contacto con nosotros presentando una solicitud detallada a través de la siguiente dirección de correo electrónico : privacyofficer@hyperwallet.com. Le señalamos que es posible que le solicitemos una prueba identificativa de su identidad. Ud. tiene derecho a recibir una copia de los datos e informaciones sin coste alguno ; no obstante, nos reservamos el derecho a cobrar unos costes razonables si su solicitud es manifiestamente excesiva o carente de fundamento y en particular en los casos de solicitudes repetitivas. Nos comprometemos a proporcionarle una respuesta en los plazos establecidos. · Transferencia de datos fuera de la U.E. Los datos personales con origen en el Espacio Económico Europeo y el Reino Unido serán transferidos únicamente a aquellos países que se considera constan con un nivel adecuado de protección legal, o a entidades que disponen de las medidas de seguridad adecuadas, de acuerdo con la aceptación de cláusulas-modelo como las aprobadas por la Comisión Europea, con Normas Empresariales Vinculantes, o que participan en una red de cumplimiento con las normativas de Protección de Datos (Privacy Shield Framework). A continuación hallará información sobre la participación de Hyperwallet en las redes de cumplimiento con la protección de datos (Privacy Shield Framework) EE.UU.-U.E. y EE.UU.-Suiza. · Redes de cumplimiento con la protección de datos (Privacy Shield Framework) EE.UU.-U.E. y EE.UU.-Suiza. Hyperwallet cumple con las normas y directrices de las redes de cumplimiento con la protección de datos (Privacy Shield Framework) EE.UU.-U.E. y EE.UU.-Suiza establecidas por el Departamento de Comercio EE.UU. (U.S. Department of Commerce) con relación a la recopilación, el uso, y la conservación de información transferida desde la Unión Europea (“U.E.”) y Suiza a los EE.UU., respectivamente. Hyperwallet ha certificado al Departamento de Comercio EE.UU. (U.S. Department of Commerce) su adhesión a los Principios de Protección de Datos (Privacy Shield Principles). En caso de conflicto entre la presente Política de confidencialidad y los Principios de Protección de Datos (Privacy Shield Principles), deben de prevalecer los Principios de Protección de Datos (Privacy Shield Principles). Para obtener más información sobre el programa de Protección de Datos (“Privacy Shield”), comprobar nuestra certificación (referenciada con el nombre HSI USA Inc.), no duden en visitar la página web: https://www.privacyshield.gov/. La participación de Hyperwallet en los Principios de Protección de Datos (Privacy Shield Principles) se aplica a los datos personales objeto de la presente Política de Confidencialidad (véase el Apartado 1 anterior) y a aquellos transferidos desde la Unión Europea y/o Suiza hacia los Estados Unidos. Hyperwallet garantiza el cumplimiento con los Principios de Protección de Datos (Privacy Shield Principles) de Comunicación ; Elección ; Responsabilidad en la transferencia ; Seguridad ; Integridad de los Datos y Limitación de usos y finalidades ; Acceso ; y Recurso ; Aplicación coercitiva de la normativa y Responsabilidad, con relación a dichos datos personales. Limitamos la recopilación y el uso de datos personales a aquellos que resultan necesarios para la administración de nuestra actividad empresarial, incluido el procesamiento de transacciones de pagos, la protección contra el fraude, y suministrar de servicios de atención al cliente. Es posible que divulguemos y/o transmitamos datos personales a terceros, proveedores de servicios, a socios comerciales, a ordenantes de pagos (Pagadores / Payors), y a otras partes implicadas que colaboran con nuestra empresa en la realización de nuestras prestaciones de servicios. Hyperwallet es responsable con relación a los datos personales que recibe al amparo de Principios de Protección de Datos (Privacy Shield Principles) y la subsiguiente transferencia de los mismos a terceros tal y como se describe en los Principios de Protección de Datos (Privacy Shield Principles). En particular, Hyperwallet puede ser responsable con relación a la transferencia a terceros de los datos personales recibidos de individuos residentes en la U.E. y/o en Suiza en el marco y en cumplimiento de los acuerdos de protección de datos (Privacy Shield Framework) EE.UU.-U.E. y EE.UU.-Suiza, a menos que Hyperwallet pruebe de modo fehaciente no ser responsable del suceso susceptible de haber provocado el daño. Además, Hyperwallet recopila, utiliza y procesa datos relacionados con sus políticas de recursos humanos en el marco de su relación laboral con sus trabajadores, los solicitantes de empleo en su organización, y sus empleados en el pasado de acuerdo con los Principios de Protección de Datos (Privacy Shield Principles). Con relación a sus actividades en el ámbito de los recursos humanos, Hyperwallet puede, en el momento presente o en el futuro, transferir o suministrar datos personales de sus trabajadores en la U.E. y/o en Suiza a otros países en los que tiene operaciones, incluidos los EE.UU. Hyperwallet además se ha comprometido a colaborar con las APDs de la U.E. y de Suiza con relación a las quejas no resueltas con relación a los datos relacionados con los recursos humanos. Señalamos igualmente que en ciertas circunstancias es posible que a Hyperwallet se le exija divulgar datos personales en base las solicitudes legalmente vinculantes por parte de las autoridades públicas, en cumplimiento de obligaciones relacionadas con la seguridad nacional, o en cumplimiento de la ley. Si Ud. tiene alguna duda o pregunta relacionada con la presente Política de Confidencialidad, por favor, no dude en ponerse en contacto con nosotros escribiéndonos a la siguiente dirección de correo electrónico: privacyofficer@hyperwallet.com. Hyperwallet fournit ses services via son groupe de sociétés affiliées (collectivement, «Hyperwallet»), qui comprend Hyperwallet Systems Inc. («HWCA»), HSI USA Inc. («HWUS»), Hyperwallet Systems Europe Limited («HWEU») et Hyperwallet Australia Pty Ltd («HWAU»). Hyperwallet se soucie de la confidentialité de vos informations. Nous recueillons des informations sur nos clients commerciaux (chacun un «payeur») et leurs bénéficiaires désignés (chacun un «bénéficiaire») lorsqu’ils utilisent la plate-forme de paiement en ligne («portail payant»), les services de paiement et les fonctionnalités et technologies connexes (les «services»), et notre site Web à www.Hyperwallet.com ("Site Internet"). Nous recueillons également des informations sur les fournisseurs de services tiers que nous engageons pour nous aider à fournir les services, ainsi que des informations sur nos employés. Cette politique de confidentialité («Politique de confidentialité») décrit comment nous collectons, utilisons et divulguons des informations. Dans cette politique de confidentialité, nous faisons parfois référence à «vous» ou «votre». «Vous» désigne principalement un bénéficiaire; Toutefois, «Vous» peut également désigner un visiteur de notre site Web, un payeur, un fournisseur de services tiers ou un employé – qui sont tous soumis à cette politique de confidentialité.. Nous ferons de notre mieux pour préciser à qui nous faisons référence à différents moments de la politique. Bien qu’il s’agisse d’une politique de confidentialité globale, elle est également conforme aux exigences du règlement général sur la protection des données («RGPD»), avec des sections spécifiques relatives aux données personnelles des personnes de l’UE figurant à la fin de cette politique de confidentialité. Le site Web et le portail de paie sont exploités par Hyperwallet pour les payeurs ou pour le compte des payeurs, respectivement. En visitant notre site Web, en vous inscrivant pour utiliser les services, en accédant au portail payant ou en utilisant ou en recevant les services à tout moment, vous acceptez toutes les conditions générales contenues dans les conditions («conditions») qui vous concernent. Vous acceptez expressément que nous utilisions et divulguions vos informations personnelles et nous demandons de le faire de la manière décrite dans la présente politique de confidentialité. Les données personnelles désignent toute information pouvant raisonnablement être utilisée pour vous identifier en tant qu’individu. Ces données sont recueillies directement auprès de vous et peuvent également être fournies directement par les payeurs. Les informations collectées directement auprès de Vous peuvent être collectées via Vous en appelant notre Service clientèle, les communications enregistrées, le Site Web et le Portail payant. Ces informations peuvent inclure votre nom, adresse de domicile, numéro de téléphone, adresse e-mail personnelle, votre adresse de transfert (par exemple pendant les vacances), adresse (s) antérieure (s), facturation et compte (comme numéro de carte de crédit ou de débit ou le numéro de compte), vos préférences d’envoi, vos instructions de livraison, votre historique des transactions, votre adresse IP et vos préférences de service, ainsi que d’autres informations définies comme informations non publiques ou privées sur vous conformément à la loi applicable. Nous utilisons les données personnelles pour traiter les transactions de paiement au nom du payeur, pour répondre à vos demandes ou demandes et pour fournir un support client. · et à toutes autres fins auxquelles vous acceptez d’une manière juridiquement acceptable en vertu des lois sur la confidentialité des données dans votre juridiction. Nous pouvons également utiliser les informations que nous collectons sous forme agrégée pour développer et améliorer le site Web et le portail de paie, ainsi que pour nos propres analyses commerciales qui nous permettront de prendre des décisions éclairées. En supprimant les éléments de vos informations susceptibles de vous identifier, nous nous réservons le droit de divulguer les informations «anonymisées» obtenues sans restrictions. Par exemple, nous pouvons créer des données anonymisées, statistiques et agrégées pour préparer des rapports sur le site Web et le portail de paie qui n’identifient aucun individu. · avec nos filiales ou sociétés affiliées pour vous fournir du contenu, des produits et des services communs. · avec les payeurs. Vous devriez consulter votre payeur pour savoir comment votre payeur utilise les données personnelles, car nous n’avons aucun contrôle sur les données personnelles une fois que celles-ci ont été divulguées à votre payeur. · avec nos fournisseurs de services tiers qui nous aident à gérer, administrer ou distribuer le site Web ou le portail payant ou à fournir les services. Nous exigerons que ces parties protègent et gèrent l’utilisation des informations vous concernant conformément à cette politique de confidentialité et aux autres exigences que nous leur imposons par contrat. · dans le cadre de la vente, de la cession ou de tout autre transfert de l’entreprise, nous pouvons transférer les informations vous concernant, auquel cas nous demanderons à un tel acheteur ou acquéreur d’accepter de traiter les informations conformément à la présente politique de confidentialité. § signaler toute activité illégale ou frauduleuse suspectée, prévenir tout dommage physique ou financier et enquêter sur les violations de la présente politique de confidentialité ou des conditions applicables. · avec un tiers à qui vous avez demandé de le faire. Hyperwallet ne vend ni ne loue de données personnelles à des spécialistes du marketing ou à des tiers non affiliés. Lorsque cela est licite, et sous réserve du consentement des payeurs, nous pouvons communiquer avec les payeurs (et les contacts commerciaux connexes) au sujet de nos services. Si vous souhaitez vous désabonner de recevoir des communications marketing par courrier électronique, veuillez désinscription via le lien de désabonnement inclus dans ces e-mails, et nous le ferons arrête de t’envoyer des communications. 5. Cookies / Collection d’informations passives. Le site Web et le portail payant peuvent utiliser des «cookies» pour collecter des données non personnelles, telles que le type de navigateur Internet et le système d’exploitation que vous utilisez, le nom de domaine du site Web à partir duquel vous êtes arrivé, la date et la durée de la visite, le nombre de visites, temps moyen passé sur le site Web et portail de paye, pages consultées et nombre de cookies accumulés. Les cookies sont une fonctionnalité du logiciel de navigateur Web qui permet aux serveurs Web de reconnaître l’ordinateur utilisé pour accéder à un site Web. Outre les objectifs identifiés décrits dans la présente politique de confidentialité, nous ou les payeurs pouvons utiliser les informations du site Web ou du portail de paye et les partager avec d’autres organisations avec lesquelles nous ou les payeurs avons une relation commerciale pour mesurer l’utilisation du site Web Portail payant, pour améliorer la fonctionnalité et le contenu du site Web et du portail payant et pour faciliter votre utilisation. Vous pouvez régler votre navigateur pour qu’il vous avise lorsque vous recevez un fichier témoin ou pour qu’il refuse d’accepter les fichiers témoins. Cependant, si vous refusez d’accepter les cookies, il se peut que vous ne puissiez pas utiliser certaines des fonctionnalités disponibles sur le site Web ou le portail payant. De plus, à des fins de surveillance de la fraude, nous pouvons placer des «cookies» sur votre appareil pour l’identifier à l’avenir lorsque vous utiliserez le portail de paie pour vous connecter à nos applications. Nous transmettrons un code d’identification de l’appareil, ainsi que l’adresse IP et d’autres attributs techniques de l’appareil, à un service tiers qui détermine si les dispositifs ont été identifiés avec des transactions frauduleuses ou abusives, telles que les cas de vol d’identité signalés, les reprises de compte ou les attaques de logiciels malveillants. Ces informations nous aident à décider d’accepter, de refuser ou d’examiner les transactions à partir de ces ordinateurs personnels, téléphones portables ou autres appareils. Nous pouvons signaler à un tiers si nous concluons qu’un appareil a été utilisé dans le cadre d’une transaction frauduleuse ou abusive avec nous. Si vous définissez votre navigateur ou votre appareil pour qu’il refuse ces cookies ou jetons, il se peut que vous ne puissiez pas authentifier votre appareil ou conclure certaines transactions via le portail de paiement. Nous partageons avec le service tiers uniquement les informations sur l’appareil que vous utilisez, qui peuvent également avoir été utilisées ou appropriées par d’autres, et ne vous identifient pas et ne révèlent pas les détails de votre transaction à des tiers. Pour authentifier votre appareil, vous devrez peut-être saisir un code à usage unique dans votre appareil. En utilisant notre service, vous acceptez que nous, ou toute autre personne en notre nom, vous envoyions ces codes de confirmation par e-mail ou sur votre téléphone portable. Vos données personnelles sont stockées au Canada et aux États-Unis et peuvent être stockées et traitées dans tout autre pays où nous avons des fournisseurs de services ou dans le pays où Votre Payeur est situé ou stocké «dans le cloud». En utilisant le site Web ou le portail de paye ou en nous donnant un consentement (lorsque la loi l’exige), vous acceptez le transfert d’informations vers des pays situés en dehors de votre pays de résidence, notamment aux États-Unis, au Canada, qui peut prévoir différentes règles de protection des données que dans votre pays. Nous conserverons les données personnelles vous concernant aussi longtemps que nécessaire pour atteindre les objectifs pour lesquels elles ont été collectées, et par la suite, conformément à la loi applicable. Vous avez le droit d’accéder aux données personnelles que nous conservons à votre sujet et d’imposer certaines limites à l’utilisation et à la divulgation de ces données personnelles. Les personnes qui cherchent à accéder à leurs données personnelles peuvent le faire en se connectant au portail de paie pour consulter leurs données ou envoyer une demande détaillée à privacyofficer@hyperwallet.com; Cependant, pour des raisons de sécurité, la meilleure façon de faire une demande est de le faire lorsque vous êtes connecté au portail de paye (Allez à «Support», sélectionnez «Email» et remplissez le formulaire pour «Problèmes de confidentialité»). Nous nous réservons le droit de facturer des frais administratifs raisonnables lorsque la loi le permet, en particulier si votre demande est manifestement infondée ou excessive. Des mises à jour ou des corrections à des données personnelles peuvent être effectuées par vous sur le portail de paie dans certains cas ou en contactant privacyofficer@hyperwallet.com. Certaines données personnelles de votre profil ne peuvent être mises à jour que dans le système de votre payeur. Dans ce cas, votre payeur peut nous fournir les informations afin que nous puissions mettre à jour votre profil dans nos systèmes. Veuillez noter que si nous ne recueillons pas ou ne recevons pas certaines données personnelles de votre part, vous ne pourrez peut-être pas utiliser les services offerts sur le site Web ou dans le portail de paye, y compris la réception de fonds du payeur. 9. Mesures de sécurité et communication avec nous. Nous prenons des mesures raisonnables pour protéger les informations vous concernant en notre possession et sous notre contrôle, telles que les données personnelles associées au site Web ou au portail payant, et pour protéger ces informations contre toute perte, utilisation abusive, accès non autorisé, divulgation, altération ou destruction. Vous devez garder à l’esprit qu’aucune transmission Internet n’est jamais complètement sécurisée ou exempte d’erreurs. En particulier, les e-mails envoyés entre vous et nous peuvent ne pas être sécurisés. Nous ne sommes pas responsables des sites Web de tiers auxquels nous fournissons des liens pour votre commodité. Nous ne pouvons pas approuver ces sites Web ou leurs pratiques de confidentialité et cette politique de confidentialité ne leur est pas applicable. Vous devez vous familiariser avec les politiques de confidentialité fournies par les propriétaires de ces sites tiers avant de leur soumettre des données personnelles. De temps à autre, nous pouvons apporter des modifications à cette politique de confidentialité afin de nous conformer aux lois, règles et réglementations, de nous adapter à l’évolution des conditions commerciales et pour d’autres raisons. Si des modifications sont apportées à la politique de confidentialité, la politique de confidentialité modifiée sera affichée sur le site Web et le portail de paye, accompagnées d’un avis indiquant qu’elle a été modifiée. 12. Questions, plaintes, recours et coordonnées. En conformité avec les lois sur la confidentialité applicables, y compris les principes du bouclier de confidentialité, Hyperwallet s’engage à répondre aux préoccupations concernant notre collecte ou utilisation de vos données personnelles. Pour toute question ou réclamation concernant cette politique de confidentialité, vous devez d’abord contacter Hyperwallet à privacyofficer@hyperwallet.com. Hyperwallet a choisi de coopérer avec les autorités européennes de protection des données et le commissaire fédéral à la protection des données et à l’information (collectivement les «DPA») pour se conformer aux informations des personnes résidant dans l’UE ou en Suisse. et des conseils qui lui ont été fournis par un groupe informel de DPA concernant ces plaintes non résolues (décrites plus en détail dans les principes du bouclier de protection des données). Cliquez s’il vous plait ici à adresser aux contacts et aux ici pour la DPA suisse. Si ni Hyperwallet ni la DPA ne résolvent votre réclamation, vous pouvez avoir la possibilité de vous engager dans un arbitrage exécutoire via le panneau Privacy Shield. Hyperwallet est soumis aux pouvoirs d’enquête et d’application de la Federal Trade Commission (FTC) des États-Unis. Les plaintes de personnes résidant en Australie qui ne peuvent pas être résolues directement avec Hyperwallet peuvent être envoyées au Bureau du Commissaire australien à l’information (OAIC). Aux fins du RGPD et des autres règles de protection des données applicables au Royaume-Uni, le responsable du traitement est Hyperwallet Systems Europe Limited, enregistré en Angleterre et au Pays de Galles, non. 10215249, ayant son siège social à la Suite 211, 63 St Mary Axe Londres Royaume-Uni EC3A 8AA. · Bases légales pour le traitement des données. · légale de remplir nos obligations et responsabilités en matière de conformité (article 6 (1) (c) du RGPD). · Droits liés à la prise de décision automatisée, y compris le profilage: ne pas être soumis à une décision prise de la sorte si elle a des effets juridiques ou similaires sur vous, sauf si nécessaire pour la conclusion ou l’exécution d’un contrat. Vous avez également le droit de déposer une plainte auprès d’une autorité de surveillance pour la protection des données pour faire valoir vos droits tels que spécifiés ci-dessus. Vous pouvez trouver des détails sur la manière de le faire sur le site Web du Commissariat à l’information du Royaume-Uni («ICO») à l’adresse suivante: https://ico.org.uk/concerns/ . En ce qui concerne tous ces droits, la meilleure façon de faire une demande est de le faire pendant que vous êtes connecté au portail de paie (Allez à «Assistance», sélectionnez «Email» et remplissez le formulaire pour «Problèmes de confidentialité»). Vous pouvez également nous contacter avec une demande détaillée à privacyofficer@hyperwallet.com. Veuillez noter que nous pouvons demander une preuve d’identité. Vous avez droit à une copie des informations gratuitement; Cependant, nous pouvons facturer des frais raisonnables si votre demande est manifestement infondée ou excessive, en particulier si elle est répétitive. Nous nous efforcerons de répondre à votre demande dans les délais impartis. · Transferts en dehors de l’UE. Les données personnelles de l’EEE et du Royaume-Uni seront transférées uniquement aux pays considérés comme offrant un niveau de protection juridique adéquat ou à des entités disposant de garanties alternatives appropriées, telles que des clauses types sous la forme approuvée par la Commission européenne dans un cadre de protection de la vie privée applicable. Veuillez consulter ci-dessous les informations relatives à la participation d’Hyperwallet dans les cadres de protection de la vie privée de l’UE, des États-Unis et de la Suisse et des États-Unis. · Cadre de protection de la vie privée UE-États-Unis et Suisse-États-Unis. Hyperwallet est conforme au cadre de protection des données UE-États-Unis et au cadre de protection des données suisse-américain établi par le Département du commerce des États-Unis pour la collecte, l’utilisation et la conservation des informations personnelles transférées de l’Union européenne (UE) et de la Suisse aux États-Unis, respectivement. Hyperwallet a certifié au Département du commerce qu’il adhère aux principes du bouclier de protection des données. En cas de conflit entre les règles de la présente politique de confidentialité et les principes du bouclier de protection des données, les principes du bouclier de confidentialité feront loi. Pour en savoir plus sur le programme Privacy Shield («Privacy Shield») et pour consulter notre certification (répertoriée sous HSI USA Inc.), rendez-vous sur https://www.privacyshield.gov/. La participation d’Hyperwallet au bouclier de protection des données s’applique aux données personnelles soumises à cette politique de confidentialité (voir section 1 ci-dessus) et transférées de l’Union européenne ou de la Suisse vers les États-Unis. Hyperwallet se conformera aux principes de notification du bouclier de confidentialité; Choix; Responsabilité pour le transfert ultérieur; Sécurité; Intégrité des données et limitation de la finalité; Accès; et recours, exécution et responsabilité en ce qui concerne ces données personnelles. Nous limitons la collecte et l’utilisation des données personnelles à ce qui est nécessaire pour administrer notre entreprise, y compris pour traiter les transactions de paiement, protéger contre la fraude et fournir un service client. Nous pouvons divulguer des données personnelles à nos tiers fournisseurs de services, partenaires commerciaux, payeurs et autres personnes qui nous aident à fournir nos services. La responsabilité d’Hyperwallet pour les données personnelles qu’il reçoit dans le cadre du bouclier de protection des données et, par la suite, pour les transférer à un tiers est décrite dans les principes du bouclier de confidentialité. En particulier, Hyperwallet peut être tenu responsable du transfert ultérieur à des tiers des données personnelles des personnes concernées de l’UE et de la Suisse reçues conformément aux cadres de protection des données EU-US et Swiss-US, sauf si Hyperwallet prouve qu’il n’est pas responsable des événement donnant lieu au dommage. En outre, Hyperwallet collecte, utilise et traite les données relatives aux ressources humaines dans le cadre d’une relation de travail avec ses employés, candidats et anciens employés actuels, conformément aux principes du Privacy Shield. Dans le cadre de ses opérations de ressources humaines, Hyperwallet peut maintenant et / ou dans le futur transférer ou fournir des données personnelles concernant des employés dans l’UE et en Suisse vers d’autres pays où elle opère, y compris les États-Unis. Hyperwallet s’est en outre engagé à coopérer avec les DPA européennes et suisses en ce qui concerne les plaintes non résolues concernant les données relatives aux ressources humaines. Veuillez noter que dans certaines situations, Hyperwallet peut être tenu de divulguer des données personnelles si celles-ci font l’objet d’une demande légale de la part des autorités publiques, notamment pour satisfaire aux exigences de sécurité nationale ou d’application de la loi. Si vous avez des questions concernant cette politique de confidentialité, veuillez nous contacter à l’adresse suivante: privacyofficer@hyperwallet.com.